The James River is a natural dividing line for the metro Richmond area. Our CAT Rental Store location in Chesterfield is conveniently located off I-95 to serve the communities south of the river. This location supplies customers with earthmoving machinery such as loaders, excavators and tractors. We strive to provide excellent service and help our customers find the exact equipment for which they are searching. A Name You Can Trust Carter Machinery has served Virginia and southern West Virginia for over 60 years with support that’s second to none. As the needs of our customers have changed over the years, we’ve added the resources needed to serve them. What was once an operation with three stores has grown to a network of 20 locations and 1,200 employees. This continued investment in people, infrastructure, technology and tooling has enabled Carter to become one of Caterpillar’s leading dealers. Focused on Customer Success It’s the cornerstone of everything we do. From parts counter personnel to technicians on your jobsite, we’re committed to delivering top-notch support that allows your operation to be more successful. Unmatched After-Sale Support We pride ourselves on not only offering the premium products that make your business more successful but, most importantly, by providing support that’s second to none. 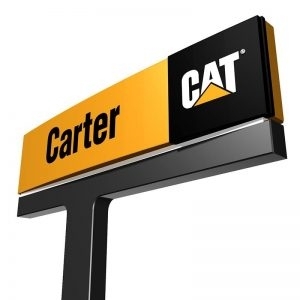 Whether you’re an owner/operator or have a fleet of equipment, you can rely on Carter to provide you with timely parts and service support to maximize your uptime, keeping you on- the- job — while respecting your budget. Serving a Wide Range of Industries From a handful of products in the beginning, to hundreds today, the diversity of our offerings is evident through the different industries we serve. Earthmoving Paving Forestry and Recycling Surface Mining Underground Mining Electric Power Generation On-Highway Truck Bus Marine Gas Compression Industrial Engines Home > Why Carter > Our History Serving You Since 1952 The 1950’s were a pivotal point in our country’s history, marked by a sharp rise in the economy for the first time in over 30 years. While Caterpillar had representation in Virginia dating back to 1928 through Virginia Tractor Company, the ever increasing activity in western Virginia thanks to infrastructure developments and coal mining, demanded a greater focus. As a result, Carter Machinery was formed to serve customers in southwestern Virginia. Our Major Milestones 1952 – Carter Machinery Company, Inc. officially founded. 1955 – Bluefield, WV store opened. 1957 – Norton, VA store opened. 1962 – Corporate headquarters moved to present location in Salem, VA. 1965 – Norton, VA store moved to an expanded facility. 1975 – Reconditioning Center, created to rebuild major components and machines, opened at Salem headquarters. 1977 – Oakwood, VA store opened. 1982 – Eastern Virginia territory, served by Virginia Tractor Company, acquired and combined under Carter Machinery adding four stores: Chesapeake, Fishersville, Norfolk and Richmond, VA. During the same year, a new store in Pineville, WV was opened. 1985 – Warrenton, VA store opened. 1986 – Newport News store opened. 1990 – Fredericksburg and Richmond Power Systems Division stores opened. 1991 – Lynchburg store opened. 1993 – Roanoke Power Systems Division store opened. 1995 – Chesapeake Power Systems Division store opened. 1996 – Roanoke General Construction Division store opened. 1997 – Fishersville, VA store moved to present location. 1999 – Richmond Power Systems Division store moved to present location. 2000 – South Hill and Chesterfield stores opened. 2001 – Lynchburg store moved to present location. 2006 – Pineville, WV and Abingdon, VA stores moved to new, expanded facilities. Harrisonburg store opened. 2007 – Carter Machinery purchased the Virginia assets of Pioneer Machinery, the Cat Forest Products dealer. 2008 – Harrisonburg store moved to its present location. 2009 – Newport News and Yorktown stores moved to new, combined location in Williamsburg. 2010 – Bluefield, WV store moved to new location in Princeton, WV. 2011 – Change of ownership from Caterpillar Inc. as a result of a management led buyout. 2013 – Carter Machinery became the exclusive Blue Bird Bus dealer in the state of Virginia. 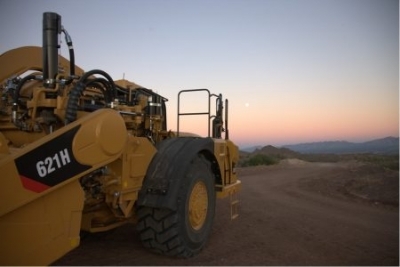 2013 – Carter Machinery acquired the expanded Cat Mining equipment distribution and support business for our territories from Caterpillar Global Mining LLC.